Unbelievable find at a thrift store, $8.99. Brand new. Great pack and now is my favorite pack. Looking at doing segments on the Colorado Trail. If you're looking for a great pack, look no more. Love it for light to ultralight backpacking. Highly recommend this pack. Has everything I've been looking for in a pack. Welcome to Tralspace, Ken. Sounds like you got a great deal with this pack! How long have you had it? 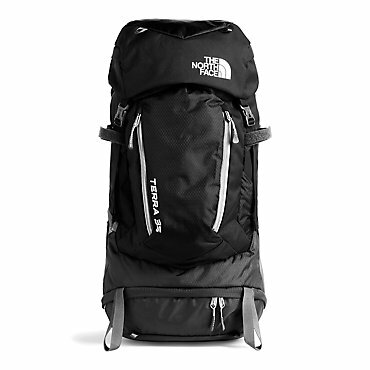 Just before my wife stopped working at Sports Authority, she bought me The North Face Terra 40 for a great price. My friend owns the Terra 30, and gave us a heads up that some times he wishes he had a little bit more space in the pack, which is why we got the Terra 40. What a great pack for a great price. 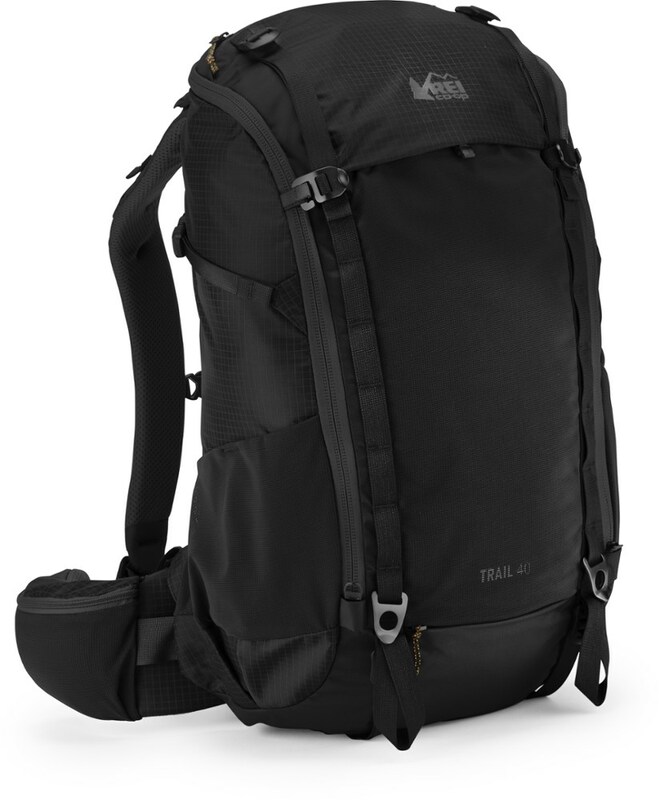 Even the regular retail price is an awesome deal for this versatile pack. We decided to get the burl orange color, and I'm glad I did. While the green, the blue, and the black packs also look good, there was just something about the orange that makes this pack look awesome. 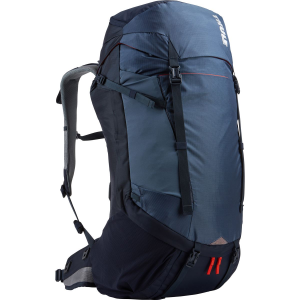 This pack is small and light enough for quick jaunts up the mountain to hold the essentials, yet big enough for a 1 or 2 night adventure. There are multiple pockets to keep things organized, including a sleeping bag compartment at the bottom, plus it has a sleeve for a water resevoir. The mesh pockets on the sides are a little high on the pack for my normal comfort, but I am still able to pull out my water bottle without too much effort, plus each side easily holds a 32oz Nalgene bottle. The straps are adjustable enough to fit a wide range of body types/sizes and is very comfortable. I've only had the chance to use this pack a few times on single day excursions, but each time I use it, I try to think of other opportunities to put it on and use it. 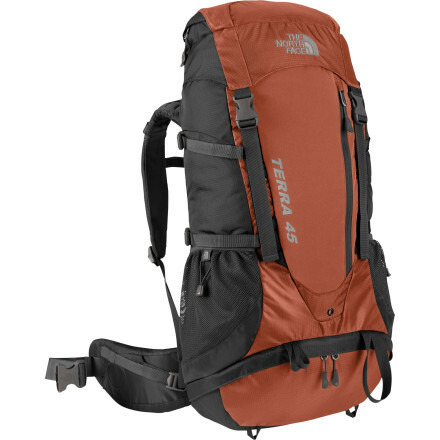 I look forward to trying it out on my next 2 night backpacking trip. I haven't seen any wear or tear on it at all, so it is durable (and it means I need to use it even more...). I'm a big fan of this pack. Like most things I buy, I got it on sale so I'm happy with the price (around $80). At first i thought i would not like the shoulder straps or the back panels that contact your body. They seemed bulkier than necessary. Well, i was wrong. Both have been great. The straps are very adjustable and were very comfortable on a recent 15 mile hike (filled with 3L bladder, 2 MRE, GSI Soloist, Brunton Raptor, EMS Gortex rain shell, spare REI wool socks, and power bars). The back panels, called Vericool or something like that, are amazing. It was hovering around 85 that day and this thing breathed better than any bag I've ever had. EVER. It literally shamed every other bag i've ever had in that department. I have a LL Bean Bigelow pack that i like and I'm a huge fan of Bean products (they replaced a 11-year-old bag that lost its waterproofing!) but this thing breathes so much better that it's no contest. Minimizes back sweat which cools the body. I like that you can access from below and that you can partition the bag - my down bag is a tight fit in the bottom portion though. This is likely b/c it's a large sleeping bag for a large guy. I'm also a big fan of the zippers. They run smoothly and the lanyards on them are nice (wrapped in what looks like inner tubing). The thing that i don't like is the lack of useful exterior straps or MOLLE type strapping. Where do you put a tent on this thing?! Inside? sounds great until it rains and you have to put a wet, dirty tent into your pack and forget that if you have a bladder in there! You can strap it to the bottom with paracord using the loops but the loops are small and paracord is not the best for this use - nylon straps work much better and keep a tent from flopping around. Overall a great bag but seriously -how much thought was put into tent attachment? I guess perhaps they think the pack is a one day item that would not be suitable for a 1 or 3 night camp but i disagree (though it is snug for a 2 night). Better straps on the bottom and top of the bag and this thing is top notch. Either way, a good choice but weigh your needs before purchasing. Disclaimer: i bought it online on sale and did not realize the lack of straps when purchased. still kept it though so that says something. I bought my wife one and I bought a different pack for myself. After I got home and put on the Terra 40, I went back and exchanged what I had for the Terra. We live in SC so hiking is not a big deal here. I do have mine loaded to the top with survival gear, it's my bugout bag. I really like the suspension, I have had it out several times to get in shape and it feels great. Wish it would have had a waterproof cover with it. Great backpack! Goes with me everywhere. Don't care to much for the flaps at the bottom (ie. bottom belt). But if you're hanging from a rock they would come handy. Picked mine up from Wild River Outfitters here in Virgina Beach, VA. Great store. Hey you guys and gals ever though of sewing a cable into the backpack so that you could lock it up? Question what are all these loops for on the outside of the BP? 06’ Terra 40 model. 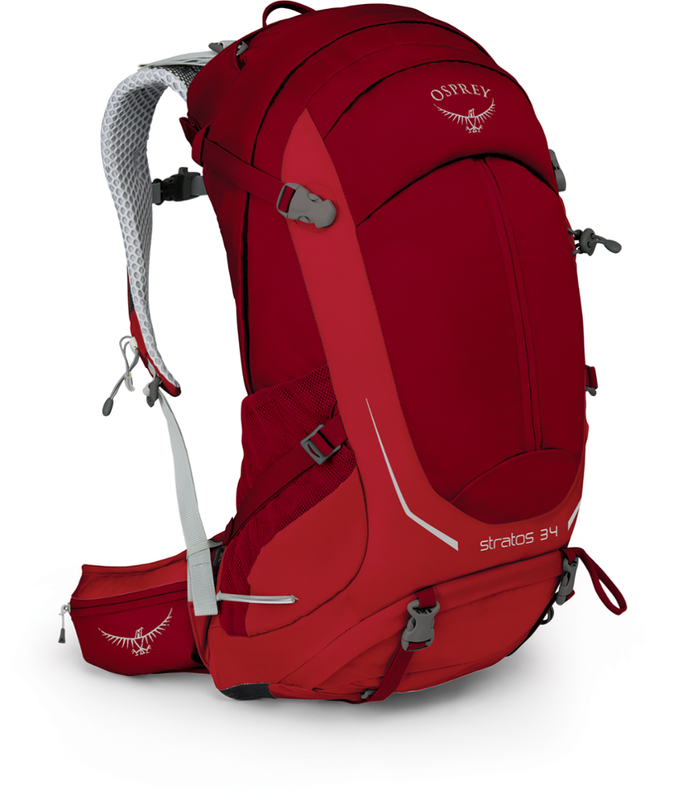 I use this pack for overnighters and when I go rock climbing. The suspension is incredible, and the shoulder straps and waist belt are made of a really soft almost gel like material, superbly comfortable. 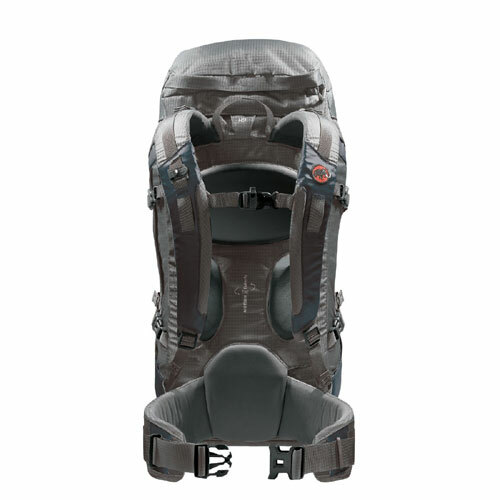 Lots of adjustment on this pack so you can get that perfect fit on your back. It has a nice venting system so you don’t get swamp back on your hike!! 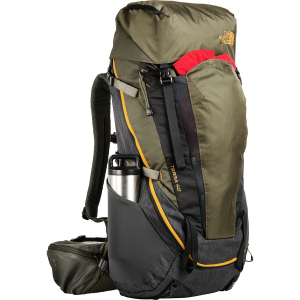 Fit and finish on this pack great, lots of cool little techie features.At $109 on sale at mountaingear.com you can’t beat this pack for the price!